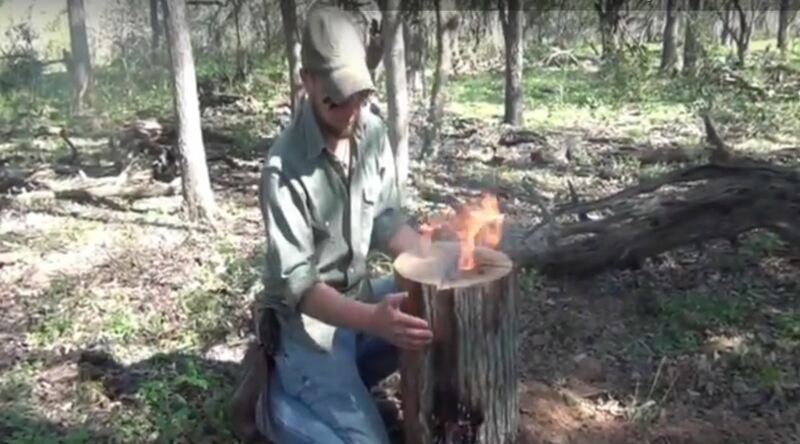 A Swedish Fire Torch, if you have the tools to make it, is one of the most efficient types of fire you can make. It channels the heat up through the “stack” which escapes out the top of the torch and can serve as an awesome cooking platform. It requires smaller types of fuel, so you do not have to spend a ton of time chopping and cutting wood. It is also very hard to detect, easy to maintain and even easier to put out. The key is possessing the tools to construct it; the guy in the video on the next page uses a chainsaw, but you can make one just as effectively with an axe or a machete. Check it out by watching the video on the next page.